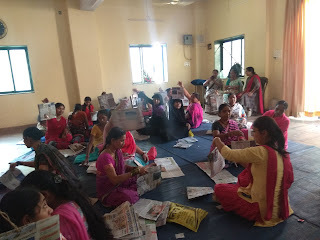 Koregaon Park (Pune), 21-January-2019: The Don Bosco Development Society, Koregaon Park, Pune organized a Paper Bag Making Training program for SHG women from Tadiwala Road slum in Pune. 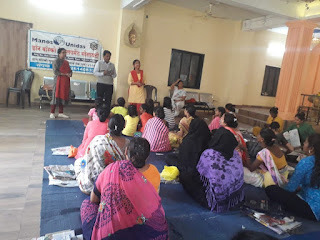 37 women participated in this training program organized under the aegis of ‘women empowerment project’ funded by Manos Unidas, Spain. 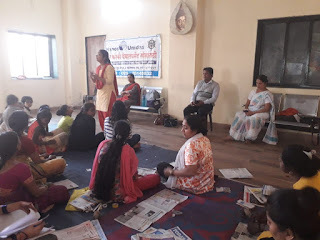 Mrs Leena Gaikwad (Staff-DBDS) welcomed all the participants and introduced the trainer. 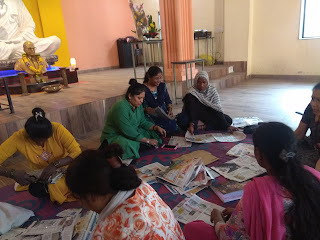 Ms Nilima Chandare (Trainer-DBDS) was the resource person for the training. 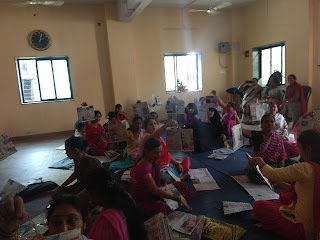 She demonstrated the process to make paper bags of different sizes and shapes such as paper pouch for medicine, grocery bag, bakery bags, party bags, garment bag etc. 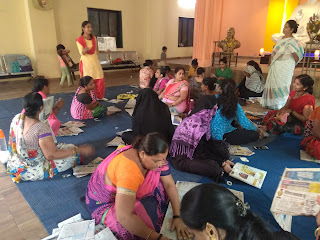 She also gave information about purchasing raw material, market, suppliers, budgeting, purchase etc. Maharashtra government has put a ban on use of plastic bags which has raised the demand of paper bags in the market. 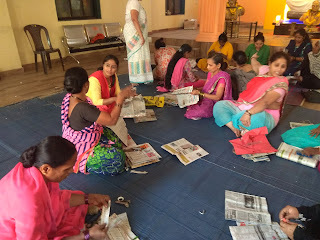 The present trend is to use bio-degradable packaging products such as paper and products made from bio-degradable polymers hence many participating women were very enthusiastic to take it up as an income generation activity. Mr. Nagsen Chavan (Project Coordinator) took session on how to set up a business. Program ended with vote of thanks by Mrs. Leena.